It is with sadness that I announce that I will be leaving the Carlisle Photo Festival, but I know that the new team will do great things with it. The new team is very ambitions with great ideas and I am very much looking forward to visit the Carlisle Photo Festival next year. It has been a joy for me to see how a small idea could develop into an international photo festival, I hope that the Carlisle Photo Festival will keep inspiring emerging photographers to exhibit their work. As for myself, I will be seeking new photographic opportunities and challenges in editorial and curating, in London and Copenhagen, Denmark. I wish the new Carlisle Photo Festival team and exhibitors the very best and good luck in the future. The Carlisle Photo Festivals Opening night is to be held on the 15th April, 6pm in the old post office on Warwick Road, (next door to the Andalusian). University of Cumbria lecturer, Dr. John Darwell, will open Carlisle Photo Festival with a speech at the Making Waves exhibition venue. Following this the exhibitions In Search of Space, In Their Company and New Memories for Old will open to the public from 7pm. We have just ordered our new posters. You should start to see them around Carlisle in a few days. Hope you love them, just as much as we do. The Carlisle Photo Festival is happy to announce the group exhibition 'New Memories for Old'. A 2nd year BA Hons Photography Exhibition, from the University of Cumbria. "Photographs are all in some way about memory – about freezing a moment in time and retaining it – and every photograph instantly becomes an image of a time that has passed. 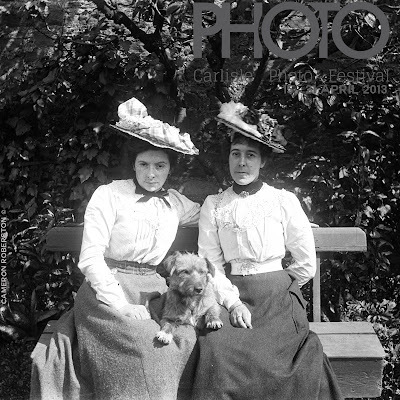 We may keep photographs to remember long forgotten moments, look at them to learn about a time before we were born, or perhaps use them to reinforce first hand memories so that they remain at the forefront of our minds." CARLISLE PHOTO FESTIVAL IS NOW OPEN FOR SUBMISSIONS. Have you noticed that we're open for submissions? That's right, you could have the chance to exhibit your photography at the Carlisle Photo Festival. Doesn't matter where you are stationed either, we are very much an international festival. Still um-ing and ah-ing? Have a breather and look at our FAQ page for more information. 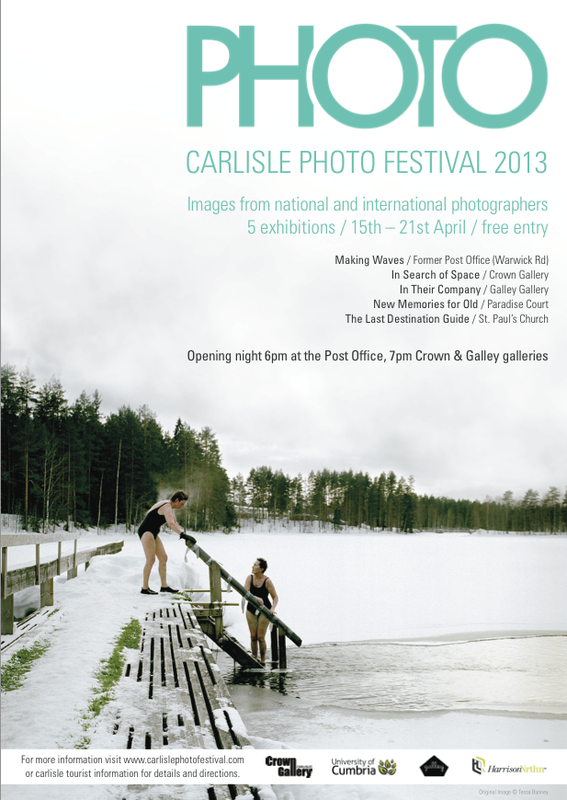 After the huge success of last year’s inaugural event, the Carlisle Photo Festival is returning to the city for 2013 from 15th - 21st of April. 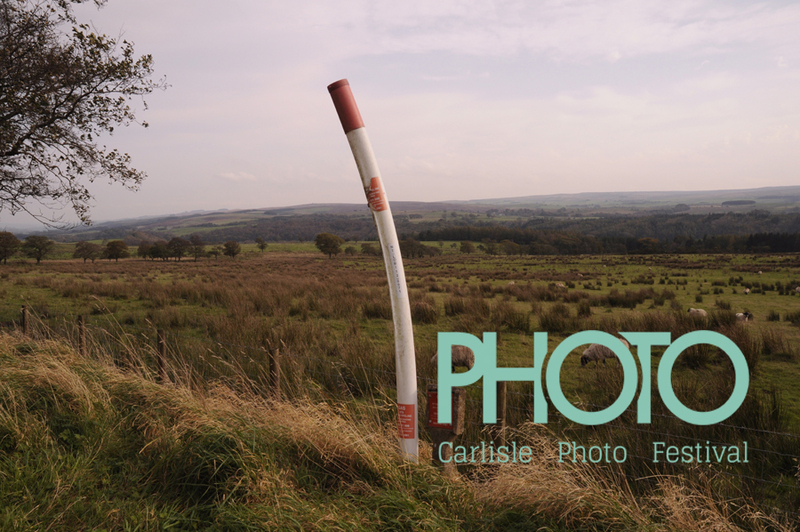 The Carlisle Photo Festival is now open to submissions from photographers for the 2013 event. The Carlisle Photo Festival organisers are seeking all types of photography work to be submitted from amateurs, professionals and photo enthusiasts. The final deadline for submissions is 15 March 2013. The seven day celebration of the craft of photography will be open to everyone with a passion for visual art - professionals, amateurs and students and, of course, the photo-loving public. Inspiring and eclectic work attracted over 1500 visitors in 2012 and this year’s event is set to be even bigger. The Carlisle Photo Festival 2013 includes the addition of a main exhibition in the Carlisle town centre as well as two gallery spaces. Established and emerging local and international photographers will have the opportunity to showcase the very best of their work to a wide audience in the artistic and historical city of Carlisle. 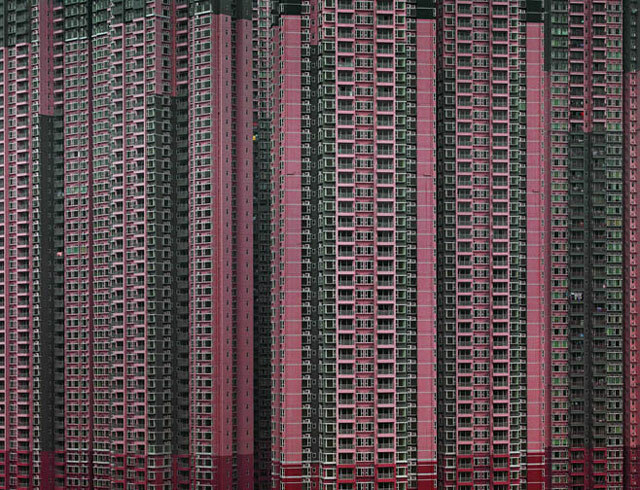 One of last year’s featured photographers, Eleanor De Chastelain Simpson, went on to win the 2012 University of Cumbria annual Creative Travel Award following her exhibition at the Carlisle Photo Festival. - One to five coherent photographs in high resolution (300 dpi & A4 size) with the titles and year. 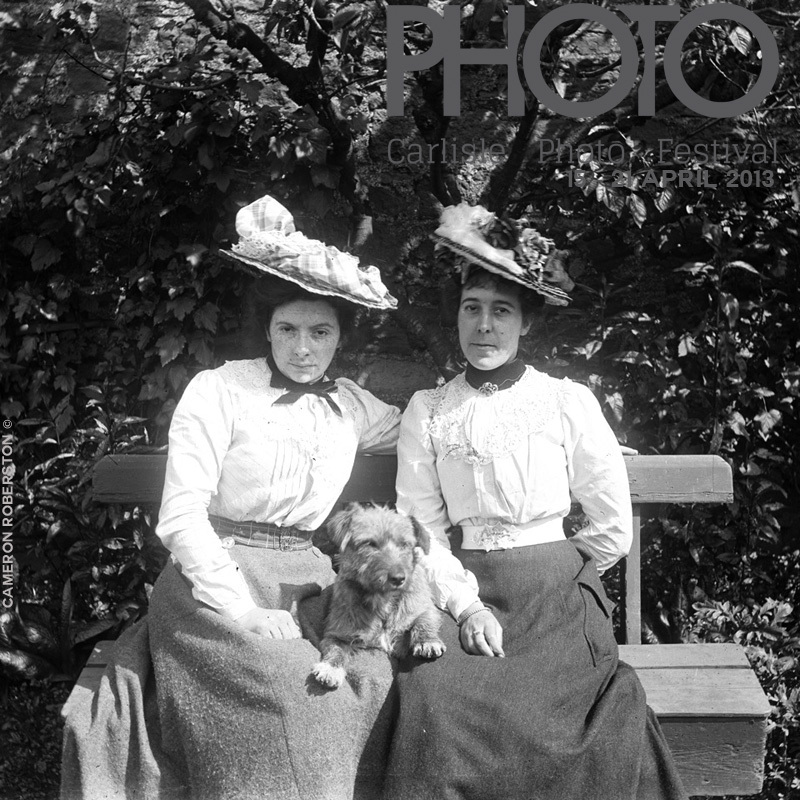 Please include a description of work and make sure there are no watermarks. - Fill out the Statement of Intention and send in your CV. - Any issues please refer to the FAQ page. 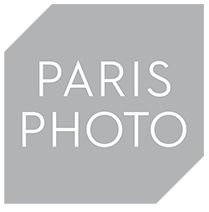 The Carlisle Photo Festival are traveling to Paris Photo today. We will be tweeting and writing about the festival, the exhibitions and the book signings. Carlisle Photo Festival 2013. Picture Window theme. Powered by Blogger.